Want to host your big day in the center of town? No problem. 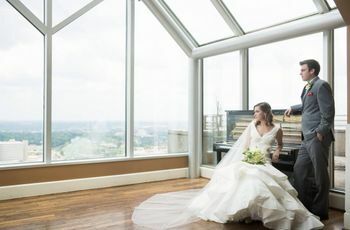 These wedding venues in downtown Birmingham, AL put you and your guests right at the heart of it all while providing a stylish backdrop for your special day. 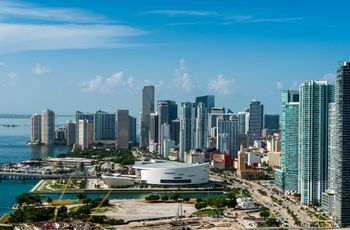 Not only are these wedding venues in Birmingham located just steps from some of Magic City’s most recognizable landmarks, they’re convenient for out-of-towners, with hotels, restaurants, and public transportation all close by. Read more about the best wedding venues in downtown Birmingham, AL right here. This hotel in Birmingham’s uptown neighborhood offers a traditional setting for weddings both big and small. 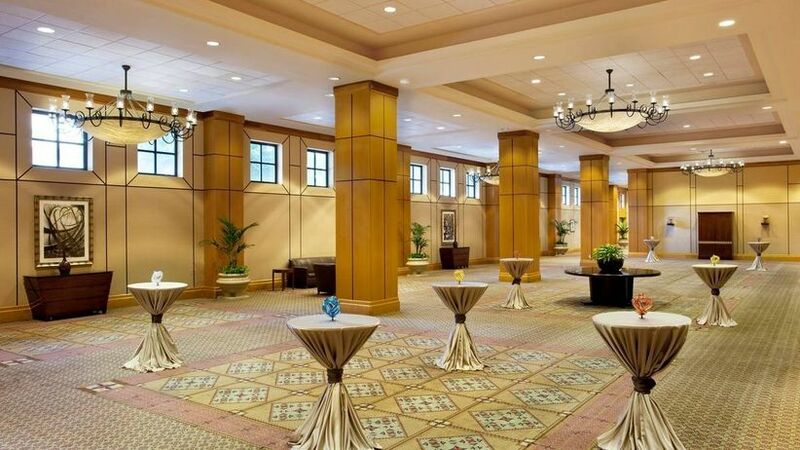 The Sheraton Birmingham Hotel has 34 event spaces, including small banquet rooms and a 25,000-square-foot ballroom that fits up to 1,000 people. But whether your guest count is in the dozens or the thousands, the Sheraton Birmingham Hotel is easily accessible to all of Magic City’s best attractions — perfect for keeping guests entertained if they’re staying in town for a few days. This venue also makes planning your big day a breeze, thanks to its wedding packages that include catering and event coordination. 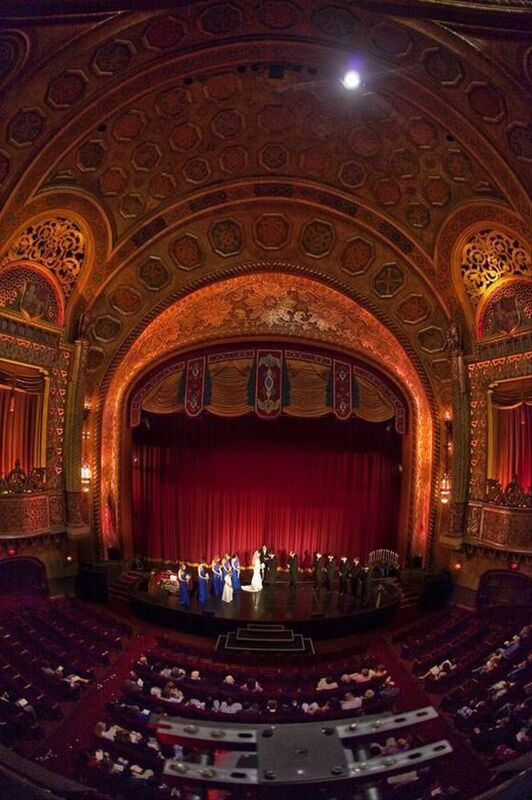 Get married at one of the most iconic downtown wedding venues in Birmingham, AL by hosting your big day at the Alabama Theater. This historic building is ideal for couples who truly want to wow their guests on the big day — is there anything cooler than getting married on a stage? 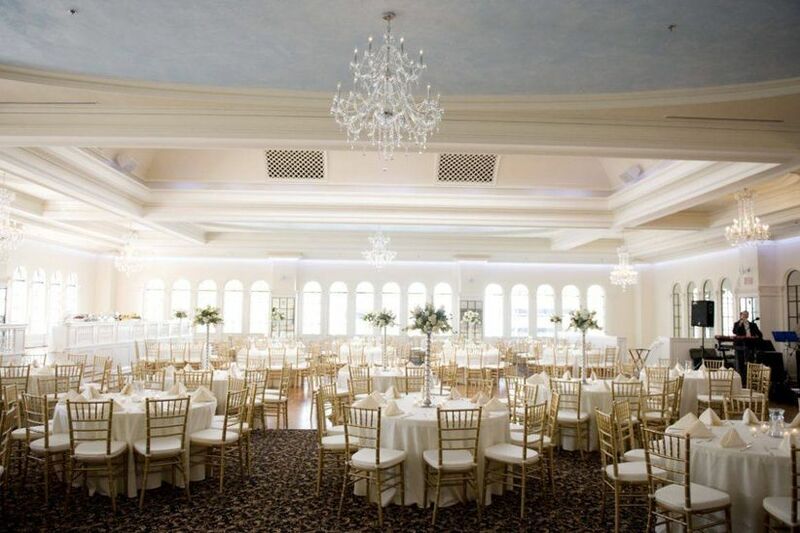 Adjacent to the theater, the Hill Event Center is a perfect space for wedding receptions. The Alabama Theater has a maximum capacity of 350 guests, with dressing rooms, a catering kitchen, and parking onsite. 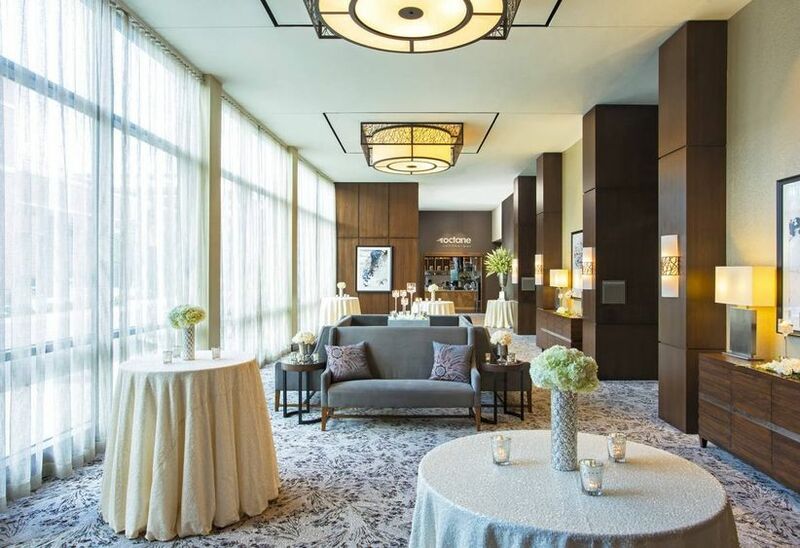 If you’re looking for a wedding venue that’s both elegant and modern, check out The Westin Birmingham in Uptown. This contemporary hotel has 13 event spaces, including classic ballrooms, stylish foyers, and even an outdoor area by the rooftop pool. Wedding day essentials, such as catering, bartending/alcohol, event planning, and decor rentals, are all provided in-house, giving you less to worry about leading up to the big day. Room blocks make it easy for your guests to stay onsite, and The Westin’s convenient location is walkable to attractions like the Birmingham Museum of Art, The Summit, Alabama Sports Hall of Fame, and University of Alabama at Birmingham. 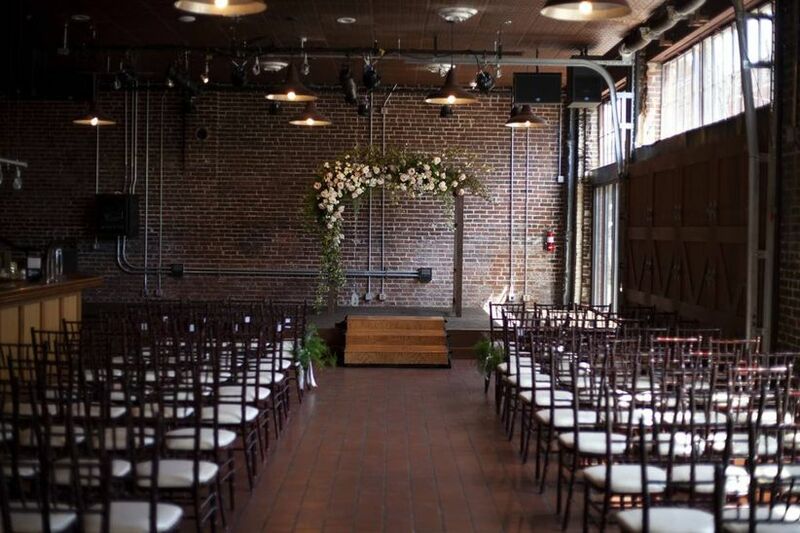 Iron City Bham is one of the coolest wedding venues in downtown Birmingham, AL, especially if you’re into music. This industrial chic venue hosts private events for up to 400 people and will provide in-house catering, bartending, day-of coordination, tables, chairs, and more. 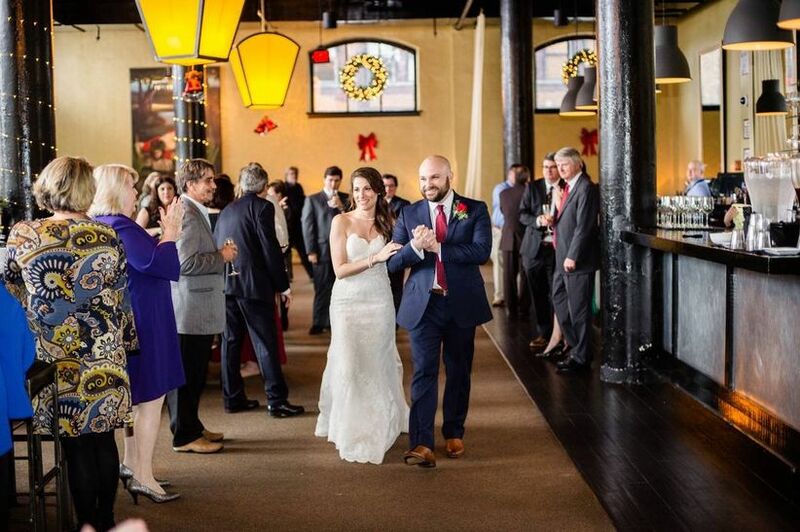 The nearly 100-year-old venue features unique details like exposed brick walls, dark wood floors, beamed ceilings, a sunken dance floor, and a mezzanine level that adds extra space. Iron City Bham specializes in hosting big name music acts, which comes in handy on the big day — you can personalize your wedding with celeb-worthy details like custom lighting shows and projection screens. Whether you’re an art enthusiast (check out our fave watercolor wedding details!) or are simply looking for an out-of-the-box wedding venue, The Birmingham Museum of Art is the perfect canvas for your special day. 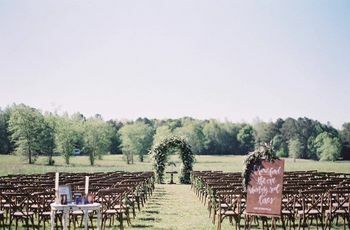 With both indoor and outdoor spaces, this wedding venue in downtown Birmingham, AL has options for every type of couple. The museum lobby is an intimate two-story space featuring a colorful glass wall, while the museum’s cafe is framed with floor-to-ceiling windows and marble tiles for a truly dramatic setting setting. 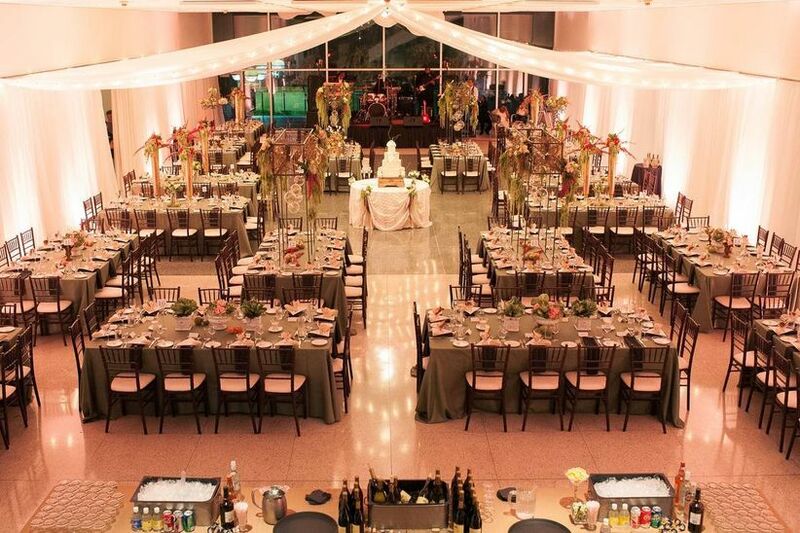 Outside, a multilevel sculpture garden is a romantic space to host your ceremony or cocktail hour. Catering, bartending, event setup/cleanup, and day-of coordination are provided by the venue. 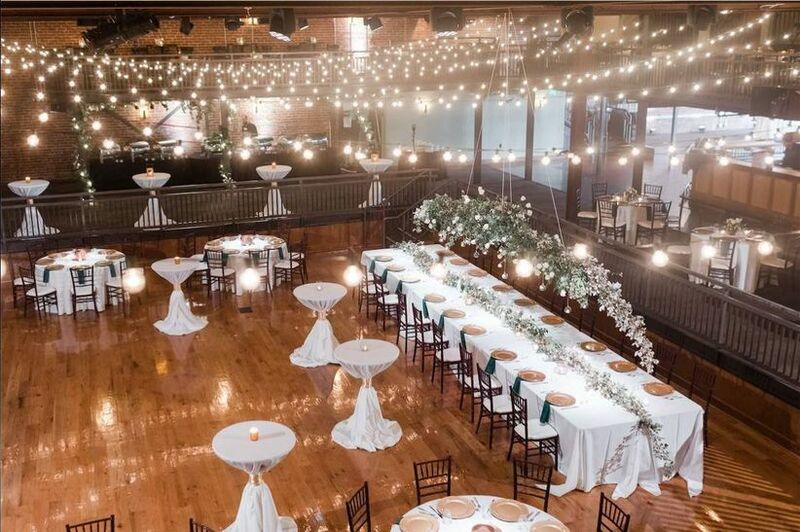 The Florentine Building is constantly named as one of the most beautiful wedding venues in downtown Birmingham, AL, and it’s not hard to see why. This sophisticated ballroom, located in the heart of downtown Birmingham, is a gorgeous space for hosting a formal event. Originally built in 1926, The Florentine has maintained plenty of vintage flair, such as tray ceilings, chandeliers and arched windows that give the space an Old Hollywood glamour vibe. Event coordination, catering, bartending, wedding cakes, and floral design are all provided in-house, making this venue a great choice for anyone who prefers all-inclusive options. If non-traditional venues are more your style, head to Southside where you’ll find B&A Warehouse. This former warehouse combines turn-of-the-century character (think iron grate skylights, wood support beams, and exposed ductwork) with modern upgrades and amenities. 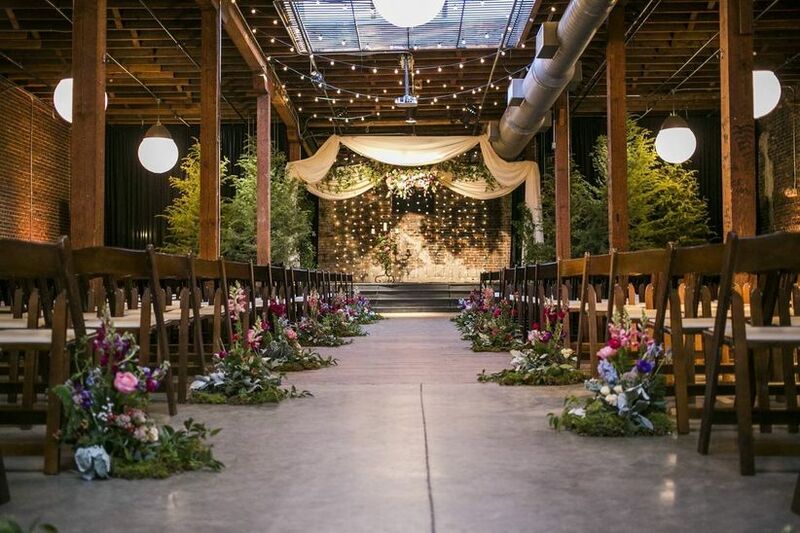 The B&A Warehouse is a blank slate venue that looks fabulous with or without decor, although the venue’s pre-installed strand lights add just the right amount of glow to the space. 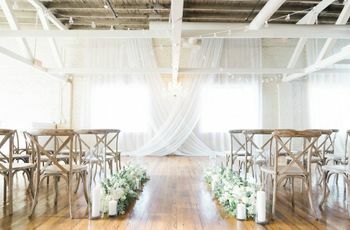 Rental fees start around $3,000 and catering is provided onsite, making the B&A Warehouse one of the more affordable wedding venues in Birmingham. Wine enthusiasts, this one's for you! Stocking more than 200 bottles of vino from around the world, The Wine Loft, located in Birmingham’s Loft District, is a dream come true for any wine-obsessed couple. The Wine Loft can accommodate up to 250 people, but we personally love this venue if you’re having a small and intimate wedding. 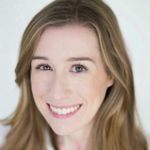 The charming space features vintage radiators, exposed brick walls, high ceilings, windows overlooking First Avenue, and a patio for outdoor weddings.